Originally from Ireland, Aaron moved to England in 2003 after graduating from the Institúid Techneolaíchta Sligeach. He began his career as a technician at Peter Taylor Associates, Birmingham before joining NBA in 2007 where he was involved in both planning and technical aspects of the business. 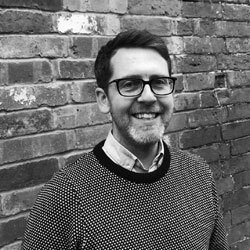 He then spent 2 years at Bloor Homes Ltd. before taking a 6 month break to travel around the world, returning to the UK where he held the position of layout designer for a leading residential development consultancy. Aaron has been involved in many residential developments throughout the UK, from master planning and layout design to luxury bespoke houses and city centre contemporary regeneration schemes. Aaron re-joined NBA in 2012 and has recently been promoted to Senior Design Manager responsible for the production and coordination of planning and development information for developers and private clients. As a new father Aaron enjoys time with family, visiting National Trust properties and go-karting! !